1Put the octopus in a boiling water and cook for about an hour on low heat and put the lid on. 2When the octopus is ready, put it under the cold running water for a few minutes and cut it into small pieces. 3Out it in a bowl and mix with previously chopped tomatoes and olives in half, or as you prefer. 4Season with chopped parsley, extra virgin olive oil, salt, pepper and parsley. You can serve it immediately or you can put it in the fridge for an hour if you prefer it cold. For having tender octopus, put the wine cork in the boiling water, don't overcook the octopus and use frozen one because they tend to be more tender when cooked. 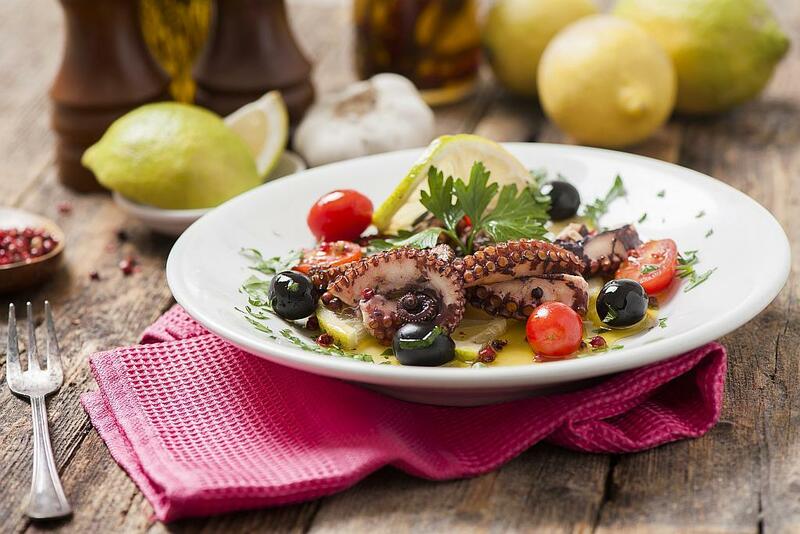 Octopus salad needs to be preserved in the fridge and consumed within two days, but it is so delicious you won't have these thoughts.